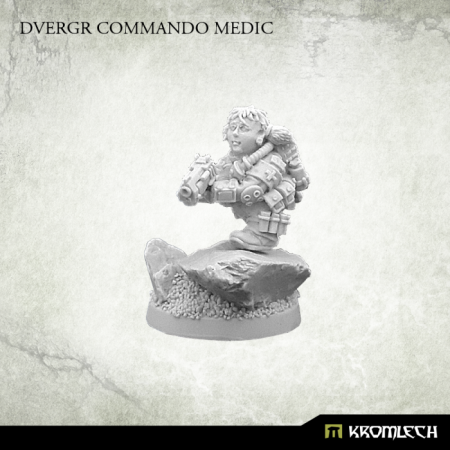 Kromlech have a new model for the Dvergr Commando range, the Dvergr Commando Medic! Maybe she is a lady, maybe she is a medic but that also means that she knows more ways to kill you than other guys from her team! This set contains one high quality resin model of Dvergr Commando Medic. One 25mm round plastic bases included. Designed to fit 28mm heroic scale wargames.